People who know me, know that I like to talk about running. A lot. Running ultramarathons seemed like a cheaper and less complicated mid-life crisis than having an affair or buying a sports car. Now that I've been doing it for a few years, I'm less convinced it's cheaper or easier than either of the other options. 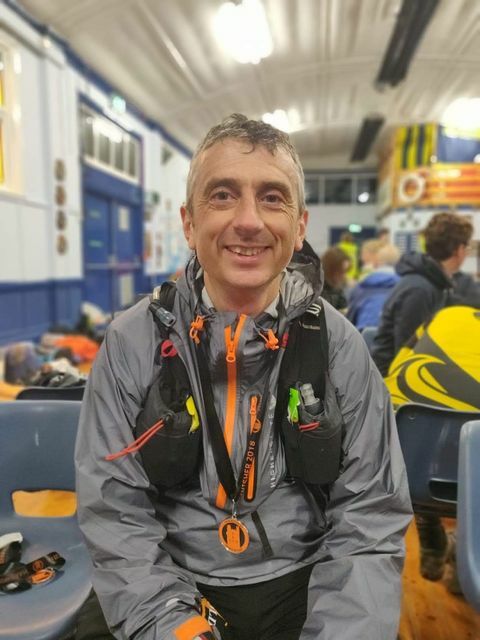 I recently had to take some extended time out from running due to health problems but 10 days ago I returned, completing the Hardwolds 80 ultramarathon which covered the whole of the Wolds Way National Trail. I like to write up my events on my personal blog, largely as a way of trying to stop my brain from rewriting the memories of how good or bad it was. Reading back over what I wrote, I realised that I use exactly the same target setting approach to racing as I do to influence interactions. Realistic - this is what I reasonably hope to achieve based on what I know. In racing it will be based on how my training has gone, what type of event it is and possibly who I'm racing against. In an influence interaction it might be based on how much I know about the situation facing the person I'm trying to influence and how well I get on with them. Stretch - this is a goal for if things are going better than expected. I once 'accidentally' won the 48 mile Peddar's Way ultramarathon. I'd borrowed a GPS watch from someone and only realised it was set to Kilometres Per Hour when I'd started the race. As someone who always uses my watch set to Miles Per Hour I had no idea quite how quickly I was running and I got to the half-way mark in a time that was close to my personal best for marathon distance. It was only then that I realised things were going much better than expected or planned. It would have been easy to drop the pace and ease off, confident that I'd now hit my realistic goal. Having set myself a stretch goal I still had something to aim for and now it was achievable. The same should apply when we're trying to influence someone. Be prepared for things going better than planned and then if it happens you are ready to take advantage of the situation. Fallback - if things don't go to plan are we ready to adapt and change our goals? If the 'realistic' goal becomes unattainable then in ultramarathon running it's easy to become so discouraged that you stop. Working out what you will do if things go wrong and how you can still gain something from a situation applies equally to racing and influence. If you can't influence someone to meet the outcome that you hoped for, is there still something that you can achieve in the interaction. This may be setting yourself up for a future interaction or gaining something else from the interaction. 10 days ago the 'realistic' goal kept me on track at 11pm when I'd been on the move since 8am and was feeling sorry for myself. A few hours later when I finished in 18 hours and 35 minutes, it meant I was close to the goal, even if I didn't quite hit it. Try this approach the next time you go in to influence someone and see how it works for you.